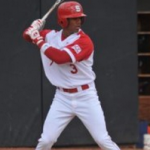 The ExoGrid line of bats from Louisville Slugger is always a popular review request for us on our twitter account. 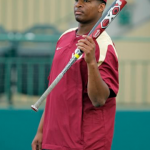 We don’t know if its popularity is because Jameis Winston and Russell Wilson used it in college or the fact that the bat was famous for winning a couple NCAA titles. Whatever the case, folks want an ExoGrid review, so here goes. Unlike the 915 and 715, the ExoGrid had a one piece aluminum AC21 Alloy shell that was reinforced with composite pieces inside the barrel. 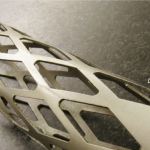 In some of those reinforced places (like around the barrel to handle transition), the ExoGrid had pieces of its aluminum shell cut out to show the composite backing. This gave an impressive looking grid patter. Hence, the name, ExoGrid. The idea behind the composite backing with missing pieces of aluminum was to create a lighter swinging bat with a stiff transition point. Less metal meant less weight and a if the transition was stiff then that would allow the barrel to create a larger trampoline effect. As a result, the ExoGrid was marketed as a balanced swing with a stiff handle and enormous pop. With the original ExoGrid we found those claims to be, roughly speaking, the case. The ExoGrid transition point was stiff and did push a lot of the mishits to your hands, but a jack in the sweet spot was reason enough alert the FAA. The bat by today’s standards wouldn’t be considered particularly light, but it definitely had a nice smooth balance to it. The Original ExoGrid had a long run as it was first produced in 2007 and wasn’t really changed much (outside of a paint job or two) until 2012 when BBCOR standards came into play. 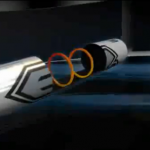 The ExoGrid 2 was Slugger’s first response at BBCOR standards. They added a little more stiffness to the transition as well as a couple of graphite bands behind barrel to dampen the trampoline effect and pass BBCOR tests. Ironically, they called these bands “power discs” which in fact had the exact opposite effect as to meet BBCOR standards. The discs didn’t allow the barrel to flex as much which dampened the trampoline effect. (Three cheers for BBCOR). 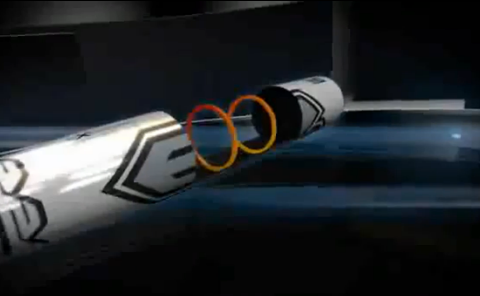 In theory the bat was still going to be a light swing with the barrel also now ‘undergirthed’ by light composite bands. However, our measurements never proved that light swing weight claim was the case—especially by today’s standards. 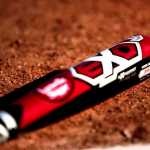 In fact, the ExoGrid 2 is one of the heaviest swing weights we can find in the BBCOR certified bats. 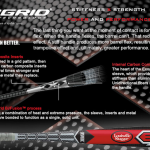 In 2013, Slugger released the ExoGrid 3 with an attempt to (1) lighten the swing weight of the ExoGrid 2 and (2) add some durability in the transition. 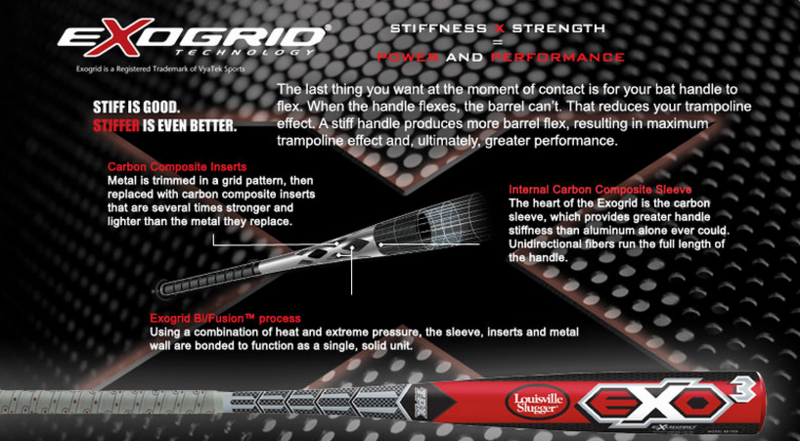 1- The ExoGrid 3 is a lighter swing weight than the 2 but that didn’t mean much because the ExoGrid 2 is a beast to swing. The ExoGrid 3 should be considered a slightly endloaded bat. 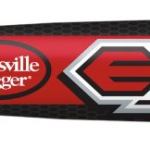 In fact, it weighs out almost exactly as the 2015 715 Select from Slugger. 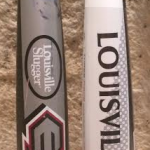 2- To improve durability and the stiffness on the ExoGrid 2, Slugger added a single composite sleeve in the transition point underneath the barrel for the ExoGrid 3. 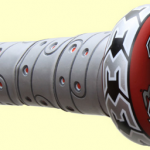 This did allow for a stronger bat and stiffer bat in the handle which produced more power. It would be fun to see Slugger, one day, resurrect the graphite grid cut out pattern from the original ExoGrid in the new version line of bats. Maybe they could shout out to the past with a silver trimmed limited edition 2018 line called the 918 ExoGrid Prime? I’ll go ahead and put my name on the waiting list for that one. 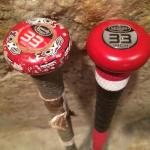 We would recommend the Original ExoGrid for those hitters who: Are entering a home run derby; Don’t have any regulations on their -3 metal bats; like to collect vintage bomb droppers. The only place we know where to pick these up are on Ebay. 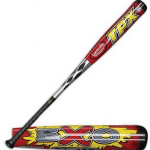 We would recommend the ExoGrid 2 for those hitters who: have one in their basement already or can find one for a smoking cheap deal; Don’t want a composite barrel bat; Are looking for a very heavy swinging one piece aluminum bat yet don’t want other newer ones in the market. There are a few sizes of ExoGrid 2 hanging around new in wrapper that are for sale if you know where to look. 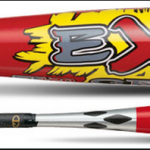 We would recommend the ExoGrid 3 for those hitters who: like a one piece aluminum bat with a lot of stiffness and slight end loaded feel; are okay with a heavier swing weight; can find one for a smoking deal. You can still purchase the ExoGrid 3 new in wrapper if you look in the right places.